AARP Medicare Supplement Plans are provided through UnitedHealthcare Insurance Company. For seniors who may be worried that their Medicare plan may not provide all the health insurance coverage they need, this plan is a way to supplement their Medicare coverage. AARP has been providing insurance solutions for seniors through its non-profit membership organization for over 50 years. Coverage provided for anywhere in the U.S.
You can use any doctor who accepts Medicare. You can keep your current doctor. You can’t be canceled, or your premium increased, because of health problems. This plan can be combined with another Medicare Part D plan to help keep your medical costs under control. Plan A: With Plan A, you are responsible for the Part A deductible of $1,340 for the first 60 days of hospitalization. For days 61 to 90, the plan pays $335 per day for a semiprivate room, nursing, and other miscellaneous services and supplies. Days 91 and over are covered at $670 per day using lifetime reserve days. Once the lifetime reserve days are used, Plan A pays 100 percent of Medicare eligible expenses for an additional 365 days. If you enter a Medicare-approved facility within 30 days after leaving the hospital, Plan A pays for the first 20 days of skilled nursing care. For days 21 to 100, Plan A pays $167.50 per day for skilled nursing care. The first three pints of blood are free. Plan A pays for hospice care Medicare co-payments and co-insurance if a doctor certifies you as terminally ill and you meet Medicare requirements. Plan B: Plan B pays the Part A deductible for hospitalization expenses including semiprivate room, nursing, and other miscellaneous services and supplies for the first 60 days. For days 61–90, the plan pays $335 per day. For days 91 and later, Plan B pays $670 per day using the lifetime reserve days. After lifetime reserve days are used, Plan B pays 100 percent of eligible Medicare expenses for an additional 365 days. Skilled nursing facility is covered after the first 20 days for days 21 to 100 if you meet Medicare’s requirements and have been in the hospital for at least three days and enter a Medicare-approved facility within 30 days of leaving the hospital. The first three pints of blood are free, and the Medicare co-payment and co-insurance are paid for hospice care if you meet Medicare’s requirements and a doctor certifies you as terminally ill.
Plan C: Plan C covers the hospitalization co-pay of $1,340 for the first 60 days, $335 per day for days 61 to 90, and $670 per day for days 91 and later using the lifetime reserve days. Once lifetime reserve days have been used, 100 percent of eligible Medicare expense are covered for an additional 365 days. Skilled nursing is covered after 20 days for $167.50 per day for days 21–100. The first three pints of blood are free and hospice Medicare co-payments and co-insurance deductibles are covered if you meet Medicare’s requirements and are doctor certified as terminally ill.
Plan F: Plan F is the most comprehensive Medicare Supplement Plan available through UnitedHealthcare. This plan includes cover for Medicare Part A hospitalization, Part A deductible, and medical expenses for the first 60 days of hospitalization. For days 61 to 90, the plan pays $335 per day and for days 91 and later it pays $670 per day using the lifetime reserve days. Once the lifetime reserve days are used, Plan F pays 100 percent of Medicare eligible expenses for an additional 365 days. Skilled nursing care meeting Medicare requirements is paid for after the first 20 days up to $167.60 per day for days 21 to 100. The first three pints of blood are covered, and the plan pays for hospice care Medicare co-payments and co-insurance if a doctor has certified you are terminally ill.
Plan G: Plan G covers hospitalization for the first 60 days and $335 per day for days 61 to 90. Days 91 and over are covered at $670 per day using the lifetime reserve days. Once the lifetime reserve days are used, the plan pays 100 percent of eligible Medicare expenses for an additional 365 days. Medicare-eligible skilled nursing expenses are covered after 20 days for $167.50 per day for days 21 to 100. The first three pints of blood are free. Plan G pays the Medicare co-payments and co-insurance for hospice care if you meet Medicare requirements and a doctor has certified you terminally ill.
Plan K: Plan K covers the hospitalization co-pay for 50 percent of $679 for the first 60 days, $335 per day for days 61 to 90, and $670 per day for days 91 and later using 60 lifetime reserve days. Once lifetime reserve days have been used, 100 percent of eligible Medicare expenses are covered for an additional 365 days. Skilled nursing is covered after 20 days for $83.75 per day for days 21 to 100. The first three pints of blood are free and hospice Medicare co-payments and co-insurance deductibles are covered if you meet Medicare’s requirements and are doctor certified as terminally ill.
Plan L: Plan L covers 75 percent of the hospitalization co-pay of $1,005 for the first 60 days, $335 per day for days 61 to 90, and $670 per day for days 91 and later using 60 lifetime reserve days. Once lifetime reserve days have been used, 100 percent of eligible Medicare expense are covered for an additional 365 days. Skilled nursing is covered after 20 days for $125.63 per day for days 21 to 100. 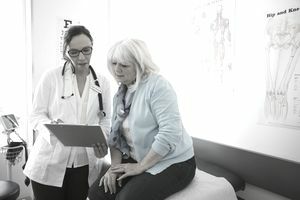 The first three pints of blood are covered at 75 percent, and hospice Medicare co-payments and co-insurance deductibles are covered at 75 percent if you meet Medicare’s requirements and are doctor certified as terminally ill.
Plan N: Plan N covers the hospitalization co-pay of $1,340 for the first 60 days, $335 per day for days 61 to 90, and $670 per day for days 91 and later using 60 lifetime reserve days. Once lifetime reserve days have been used, 100 percent of eligible Medicare expense are covered for an additional 365 days. Skilled nursing is covered after 20 days for $167.50 per day for days 21 to 100. The first three pints of blood are free, and hospice Medicare co-payments and co-insurance deductibles are covered if you meet Medicare’s requirements and are doctor certified as terminally ill.
To be eligible for Medicare supplemental coverage, you must already be on Medicare or turning 65. You can enroll for Medicare coverage up to three months before your 65th birthday. If you already receive Social Security benefits, you will be automatically enrolled in Medicare. The open enrollment period for buying Medicare supplemental coverage is six months after you turn 65. What this means for you is that the insurer cannot take into consideration any pre-existing medical conditions if you enroll during this “open enrollment” period. Even though the carrier cannot prevent you from buying supplemental insurance, they can make you wait another six months until the coverage goes into effect for pre-existing conditions. If you are worried about the expense of co-pays, coinsurance, and deductibles not covered by Medicare, an AARP Medicare Supplement Plan may be the right solution for your insurance needs. To enroll in AARP Medicare Supplement Plans, you must first become an AARP member. You can complete the AARP membership application online. If you have more questions about AARP’s Medicare Supplement Plan, you can contact AARP for more information. Call toll-free at 888-OUR-AARP (888-687-2277) or email member@aarp.org. What Are The Differences Between The Major Group Health Plans?